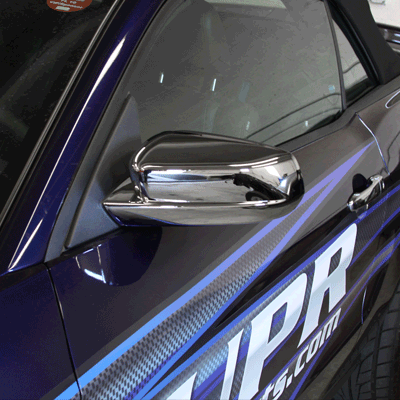 Dress up the exterior of your 2010-2014 Ford Mustang V6 or GT with UPR's Chrome Mirror Covers. Perfectly covers the stock mirrors for a great custom look for your show car or daily driver. 2010 2011 2012 2013 2014 5.0 V8 V6 GT GT500 Shelby Mustang Roush & Saleen Vehicles. No one else can stack up to the bold clean styling of our aftermarket Billet dress ups, Street Strip & Racing Suspension & Performance Parts for your late model American Muscle Car!